Let our family help yours into the home of your dreams with a mortgage loan! Purchasing a home is a big decision and the last thing you need is for the mortgage process to be a scary one. 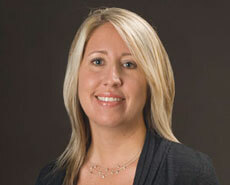 Brandee Ball is a home mortgage Lender with over 20 years of banking experience. She works by your side every step of the way to help you feel confident about selecting the right mortgage loan for your home financing needs. Is your current mortgage interest rate too high? Talk to Brandee about refinancing your current mortgage to see about lowering your monthly payment. Start your home mortgage loan application today! Call 620-342-3523 to speak to a lender or request an appointment online now. • Can’t find a home you love? Consider building your own with a construction loan!